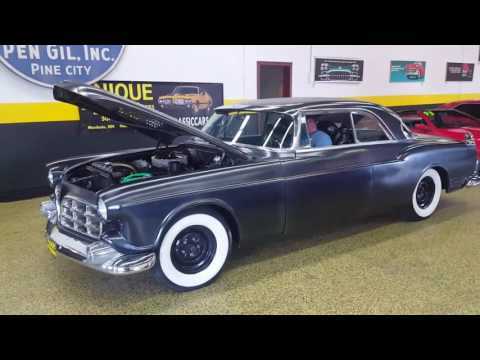 Take a look at this 1955 Chrysler Imperial 2dr Hardtop! This is a very low production car yet doesnt break the bank! It is powered by its 354 Hemi V8 with 4bbl carb, power steering, power brakes, and more! As you can see the car has had some customization done, but yet it leaves the door open for you to customize your way to the finish, or you can always restore it back to stock as well! The paint on the car does have some metallic in it which is cool, however you can tell that it wasnt a $20,000 paint job either and there have been some touch ups. If you take a good look at the pictures, you should be able to see what you need so you can make your purchase decision. Please email or call 507-386-1726 with further questions. TRADES AND OFFERS CONSIDERED!